A Blog detailing the insanity of my medical practice and the stupidity of everyday life. A lot of factors had led up to it. For years I'd been collecting stories hoping to write a book... someday. But life, work, and kids get in the way of those things. At some point I realized the book was never going to happen. Then, in 2008, a change in my practice led to me having a bit more free time. So, instead of a book, I decided to share my stories on this blog. And here I am, 10 years out. My numbers have gone up and down, but I still seem to have a following. For that I'm grateful. If it wasn't for you guys there wouldn't be a reason to do this. My posts have dropped from twice daily to 2-3/week, but I'm still cranking them out and hopefully will continue to do so. I appreciate those of you who have stayed with me and written comments. I've only been mentioned once in the general media, but knowing you guys are reading makes it worthwhile to keep doing this. At 10 years out I want to thank my wife, for putting up with me, and my kids, who've grown from small rug rats to young adults heading for college since I started this. I also want to thank Mary and Annie, also for putting up with me and supplying me with stories to share. Without you guys I wouldn't have a real job. My patients deserve a big round of applause. Without them I wouldn't have this blog. Most of them are good folks, and I genuinely appreciate them making my job a fulfilling one. Medical blogs may give you the impression that most patients are insane, or stupid, or both, but that's far from true. The vast majority are good people, but stories of normal patient encounters are boring and aren't why you come here. Lastly, I want to thank all of you guys for sticking with me over time, sharing your thoughts, and making this fun. A special thank you is deserved by those I've met through the blog and who I'm now proud to call friends. We may never meet in person, but knowing you're out there is good enough for me. Thank you all, have a great holiday, and I'll be back on January 14, 2019. Featuring an attractive pattern of molars and bicuspids in alternating red and white (I guess the color depends on whether you remembered to stop taking warfarin before your root canal), these pants are ideal for visits to the dentist, holiday parties, and any job you're hoping to get fired from. The "Old Asian Man Wall Decal" (seriously, that's what it's called) is available from a number of websites for people wanting to add it to their home's atmosphere. Or something. Let's face it, nothing gets a guy's attention like a woman who smells like a slab of roast beef. Or an Arby's. If nothing else, she'll certainly have the attention of every dog in the neighborhood. Frank got home from his first college semester last night. This morning, Mrs. Grumpy and I were woken from a sound sleep by screaming and loud noises. Apparently, at around midnight, Frank couldn't sleep and set up his laptop to work. He'd forgotten the password for our home WiFi network. Instead of, say, waiting to ask someone in the morning, he just wiped the router and changed the passwords. This morning the twins discovered what had happened, and went bananas when they couldn't get online. His door was locked, and when they couldn't wake him up, Marie and Craig kicked his door in. Now Frank is upset we woke him up on his first day of break. I'm taking the twins' side. Available from Newchic, this pair of boxers has a series of magnets sewn into the vital package-support area. The website makes claims about this boosting the immune system (it doesn't say if they specifically mean against STD's), "releasing energy," (if my winkie was glowing that color, I'd be pretty worried about the energy source) and (my favorite) improving the body's oxygen supply. Plenty of guys, myself included, have been accused of thinking with our male appendages. To date, however, I've never been accused of breathing through it. 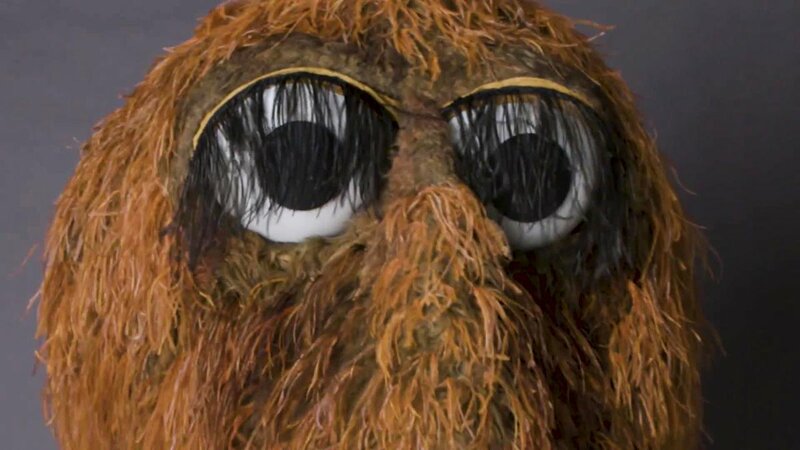 Isn't that right, Mr. Snuffleupagus? 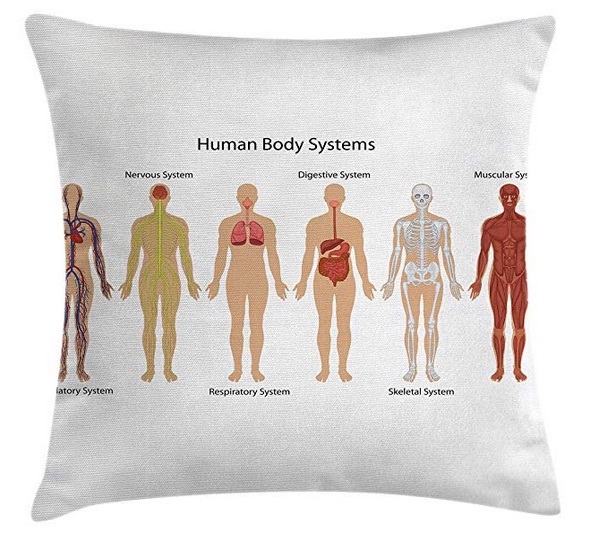 What better way to get some studying done, or liven up a dinner party, than with this useful pillow cover? (Sorry, folks, the pillow isn't included). "Makeover and refresh your rooms with just a single touch!" "Perfect for your home, office, playroom, kids room, cafe, study, studio, club, bar and others." "No dye substance harming the health of you and your family." "A perfect gift idea for your mom, dad, sister, brother, grandma, wife, husband and all other beloved ones." "They will be shocked by the superior quality of the item when they open the present." "We follow current trends and bring you the latest home fashion." "A gift to your family or friend, relative or boyfriend girlfriend, or to yourself, the item should be interesting and authentic." Why have a routine sofa that takes up horizontal floor space, when this one stands vertically? Yes, you could take the regular sofa you already have and stand it on it's side, but what's the point? This one already does that! Instead of getting some piece of schlock that does nothing but let people sit on it, you can have one that serves absolutely no purpose other than to say you can afford it! And isn't that what home decorating is all about? This blog is entirely for entertainment purposes. All posts about patients may be fictional, or be my experience, or were submitted by a reader, or any combination of the above. Factual statements may or may not be accurate. Have Dr. Grumpy delivered automatically to your Kindle for only 99 cents a month! Sign up here! Dr. Grumpy is for hire! Need an article written (humorous, medical, or otherwise) or want to commission a genuine Grumpy piece for your newspaper/magazine/toilet paper roll? Contact me to discuss subjects. You can reach me at the email address below. Note: I do not answer medical questions. If you are having a medical issue, see your own doctor. For all you know I'm really a Mongolian yak herder and have no medical training at all except in issues regarding the care and feeding of Mongolian yaks. Little Calf Creamery. Delicious homemade ice cream and food in Thousand Oaks!